Free shipping over US$200.00 purchase. Shipping fee is free when purchasing above US$200.00 in a cart. 1. This shop is only available in English / Japanese. This shop is a Japanese shop, and English / Japanese only available. Please note that in certain languages such as Korean and Chinese, individual contact is not possible. 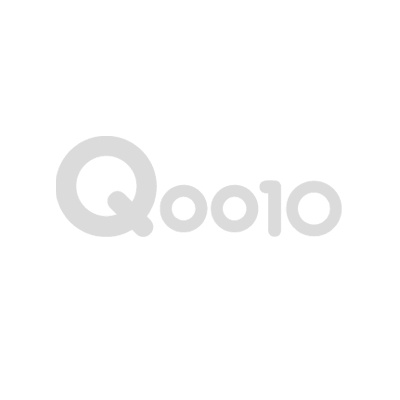 ※ If you need local language support, please be sure to contact us via the Qoo10 Customer Center. 2. The product page uses machine translation based on Japanese. Please contact us if you find something that you can not understand such as the explanation. 3. All products in this shop are products for domestic use in Japan and will be shipped from Japan. -Product Description Manual Provided in basic Japanese in relation to Japanese domestic supplies. -All customs duties and customs clearance products must be paid by the beneficiary unless otherwise stated. 1. Overseas delivery This shop does not carry out overseas delivery directly, but is provided by Qoo 10. I use Qxpress overseas delivery consignment service. * It takes approximately 4 to 9 days from ordering to shipping (except weekends and holidays), as it is a product shipped from overseas. Depending on the customs clearance in the country of arrival and the situation of the local delivery, there will be a difference, so please purchase with sufficient time. For smooth communication when problems occur during the overseas delivery process, please contact Qxpress Delivery Company directly below. 2. Shipping Shipping costs are divided into domestic shipping charges and overseas shipping costs. Shipping conditions set in this shop (or displayed on the image) are listed free of charge in the form of conditional free shipping or free shipping. Free shipping costs in Japan apply.